How in which the ways to describe the talent that is Yu Yu Shiratori? Seeping with originality and humble to a fault, she burns true blue. Everything she takes on has an irreplicable creative edge, executed with impressive craftsmanship. If you are lucky enough to own something she has made, you can testify to the fact that approximately one million people will demand to know where they can get one, too. This show will feature her latest jewelry designs, screen prints and embroideries. On a bonus note: we pulled some serious strings and managed to acquire the insane hand-embroidered wedding suit (on loan from the Pat Foley personal collection) for the show. Refreshments, shopping and friends as always. 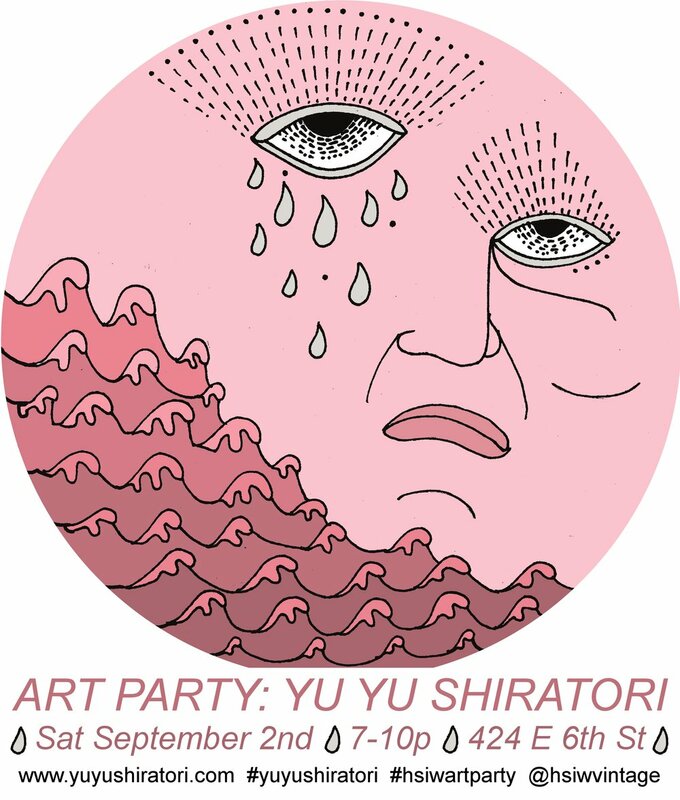 Yu Yu Shiratori's artwork and jewelry will be on display and for purchase in the shop through the month of September. We can't wait to Art Party with you.